Welcome to my stop on the CBLS Blog Tour for Gone! Check out the excerpt, trailer, and giveaway below! How far would you go to find a child that never existed? Elizabeth Walker awakens in a mental institution, the aftermath of a nightmare in her veins. All she can think of is saving a little boy—her son. But the orderlies who rush in and jab her with needles assure her she has no son. So does her mother, who demands her doctors keep her calm and prevent her from these troubling delusions. But Elizabeth’s nightmares are so real, and her arms still feel the memory of holding her son. And her instincts tell her to trust no one. Her child is gone. Her memories are gone. Everything is just…gone. If memories were liquids, then Elizabeth Walker’s would be blood. Not warm, life-giving, tissue-bathing blood, but cold, coagulated, dried up, and stepped-over-on-the-sidewalk blood. They were more like fireflies blinking in the dark, daring to be caught, disappearing a moment before they could be reached. And the only liquid left in Elizabeth’s body was a few unshed tears. They hardly ever fell now. Even they seemed to be drying up on her. Nightmare or not, she would claw her way through any level of consciousness to save the boy. The last ounce of breath she drew from her lungs burst out as a scream, leaving her choking and gasping for air. The sense of urgency to save him, to do something, burned frustrated holes through the bottoms of her feet—feet that did not touch pavement no matter how fast she moved. She calculated the likelihood of reaching him and came up short. He was far. No way could she reach him in time. Yet waiting, doing nothing, wasn’t an option either. Protective instinct propelled her legs forward, and damn the odds. “Somebody. Help.” She pushed herself from the dream. She dug her fingers into her mattress, discharging a crush of bleach into her hyperventilated nostrils. A drowning sensation filled her lungs. She clenched her chest muscles. She gasped, struggling for oxygen. A door slamming against a wall made her sit bolt upright. Two bulky men in blue scrubs burst into the room. Prize is a $25 Starbucks Gift Card. Contest is tour-wide, open internationally and ends Mar 19. Must be 18 years of age or older to enter. Barb Han lives in North Texas with her husband, has three beautiful children, a spunky Golden Retriever/Standard Poodle mix, and too many books to count. When she’s not writing, researching, or otherwise getting lost in a story, she volunteers at her children’s school, is in the kitchen ‘creating’ dinner, or can be found on or around a basketball court. Writing contemporary romance and romantic suspense has been a dream come true for Barb–something she’s wanted to do for as long as she can remember. She left her corporate job, at her husband’s urging, and has been happily playing with imaginary friends ever since. 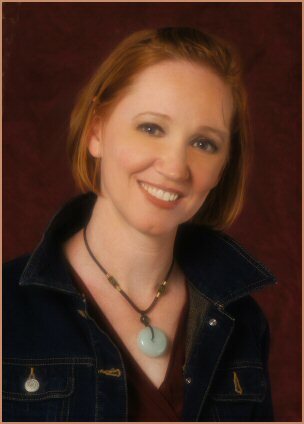 Learn more about her latest releases at http://www.barbhan.com and don’t forget to say hi. She loves hearing from readers.